Fit the biggest portion of your body first. Tailor! I don't do this for every jumpsuit I own, but the ones I really love and that structure to them I will tailor down the top half to fit my upper body. Petite ladies can wear jumpsuits too; you just need to hem your pants. Pick the right shapewear. Shapewear is a personal decision, and if you choose to wear it, you should be wearing the right one. For me, when where jumpsuits, I slide on footless tights or a capri shapewear. The shorts shapewear will give you the bubble leg. If you aren't wearing shapewear, find heavy fabrics. The key to wearing jumpsuits is the fit. If it doesn't fit your body right then, it won't look good. 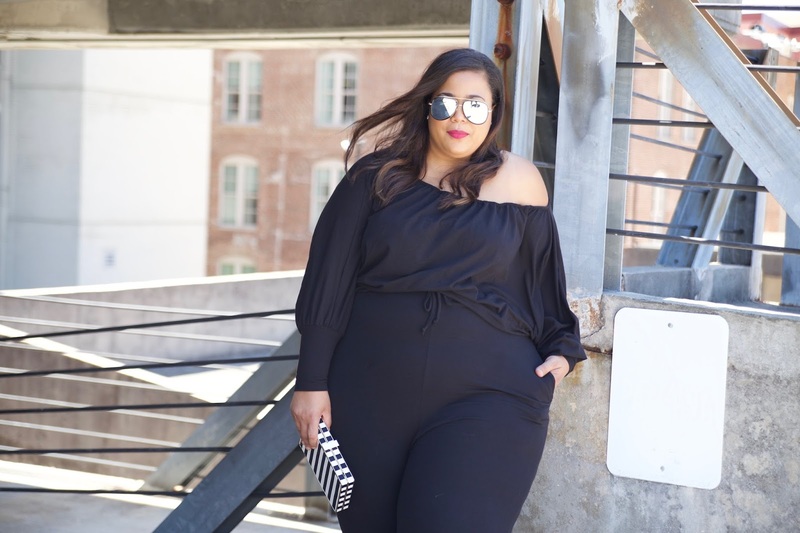 Style Notes: This jumpsuit came from Rebdolls, and I'm wearing it in a 5x. 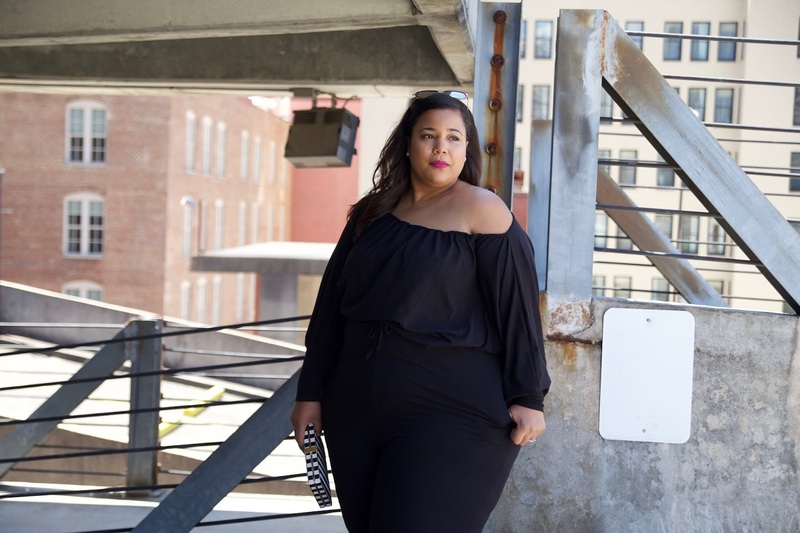 Rebdolls can run small, and this size worked perfectly.